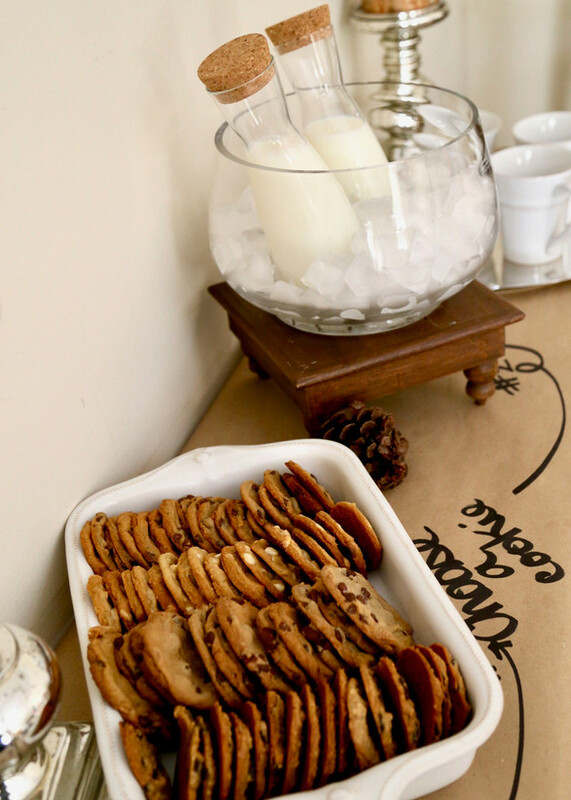 This holiday season, Haute Mom Living recommends adding this easy & delicious “Cookie Bar” to your to-do list. It’s easy to put together & guaranteed to be a hit with your family & friends. 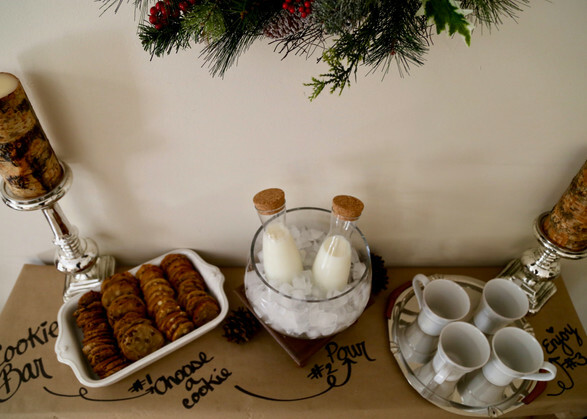 Creating this Cookie Bar was not only fun, but it made the entire house smell AMAZING! 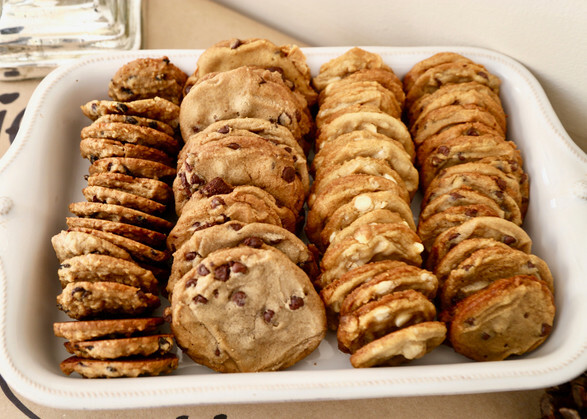 For this cookie bar, shown from left to right, Oatmeal Raisin, Chocolate Chip, Macadamia Nut & Peanut Butter Chocolate Chip. This is one of those “winners” that is an absolute hit for ALL age groups! By using the craft paper for the bar top cover it allows for creativity. I personally labeled the steps of the bar ” Cookie Bar” to #1 Choose a cookie -> #2 Pour-> #3 Enjoy! If time is limited prepping can be as simple as picking 1 type of cookie & buying pre-made cookie dough from the store. Bake time is less then 15 minutes. Overall set up for this is less then 25 minutes. 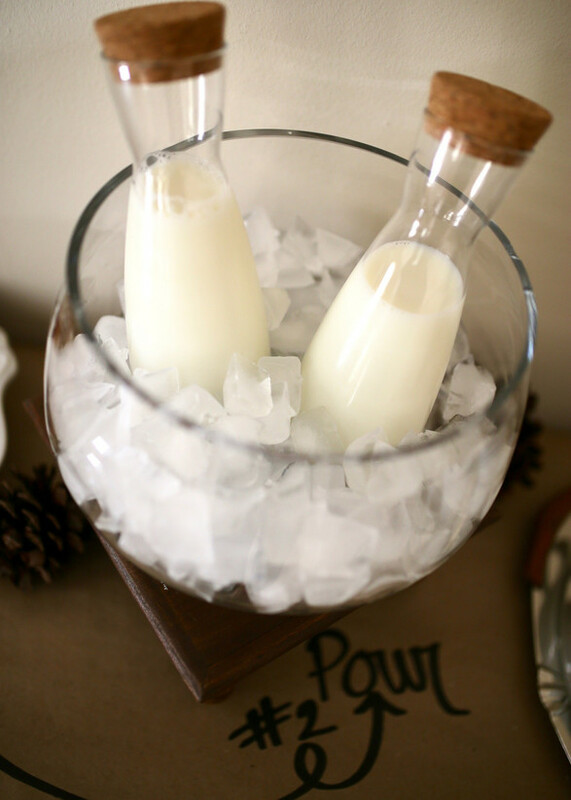 While the cookies are baking set up the “bar” area with the milk, cups or mugs and plates if you want!